Modern Web 2.0 applications are characterized by high user involvement: users receive support for creating content and annotations as well as "composing" applications using content and functions from third parties. This latter phenomenon is known as Web mashups and is gaining popularity even with users who have few programming skills, raising a set of peculiar information quality issues. 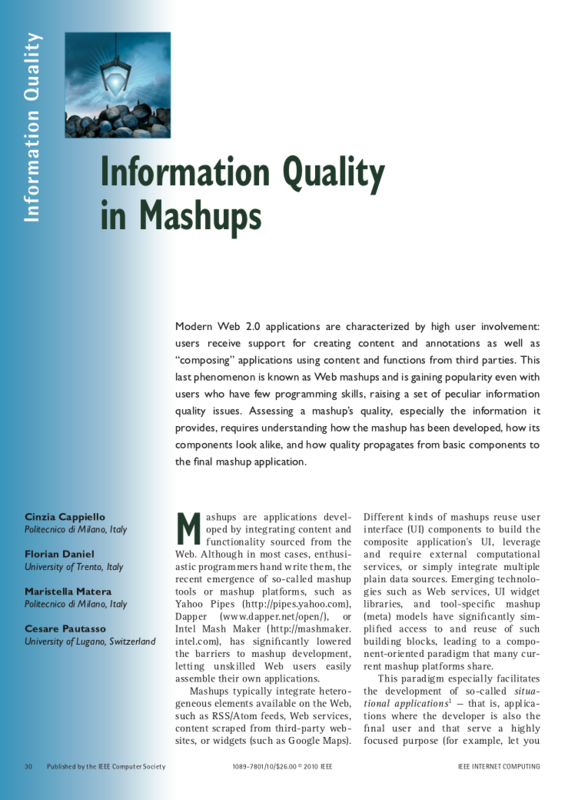 Assessing a mashup’s quality, especially the information it provides, requires understanding how the mashup has been developed, how its components look alike, and how quality propagates from basic components to the final mashup application.